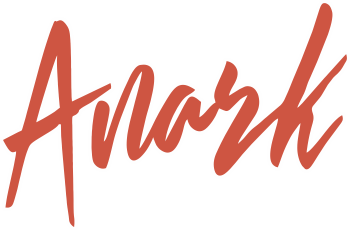 The ANARK® brand was founded by Queensland creatives Ben & Jacqui Hoole. We have around 20 years commercial design experience, around 20 years as specialist online distributors, and fitness and fight sports industry experience spanning 3 decades. Over the years, we've not only developed considerable expertise within the creative, fashion, gym and combat sports industries, but, as long-time online specialists, we're able to deliver outstanding customer service and online shopping experiences. At ANARK®, we - in collaboration with a global network of talented manufacturers - design a range of products including stunning, original printed t-shirts and casual fashion clothing, and top-end, enthusiast-level gym, boxing and martial arts clothing and accessories. We offer top-end products at competitive prices, backed by professional and knowledgeable customer support and quick, easy and reliable online shopping. Ben Hoole (MBA, MPET., B.Comm) has over 30 years of small business experience and holds an undergraduate degree in accountancy, a master's degree in business administration, and a master's degree in professional education and training. Ben's been an avid multimodal artist (writing, photography and visual art) since childhood, and has been a prolific web, graphic and product designer/ digital artist for much of the past 20 years. Ben is responsible for the majority of our print and product designs. Prior to founding our company in 2001, Ben worked for around 15 years as a coach/ trainer, qualified naturopathic nutritionist and gym owner/ manager. He is a former competitive bodybuilder and long time boxer and martial artist. At around 50 years of age, he has now been lifting and fighting uninterrupted for over 30 years, and maintains intensive daily training in bodybuilding, boxing, Muay Thai and Taekwon-Do. His wife and daughter are also both martial artists.